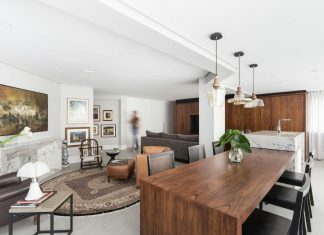 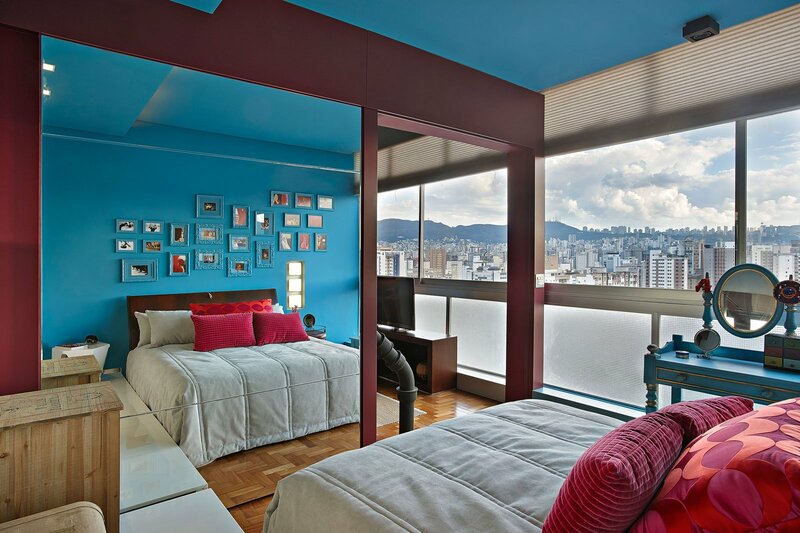 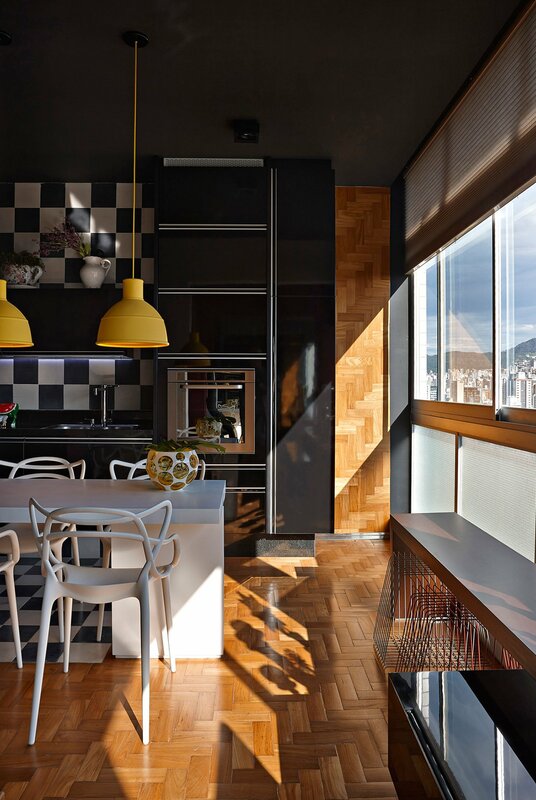 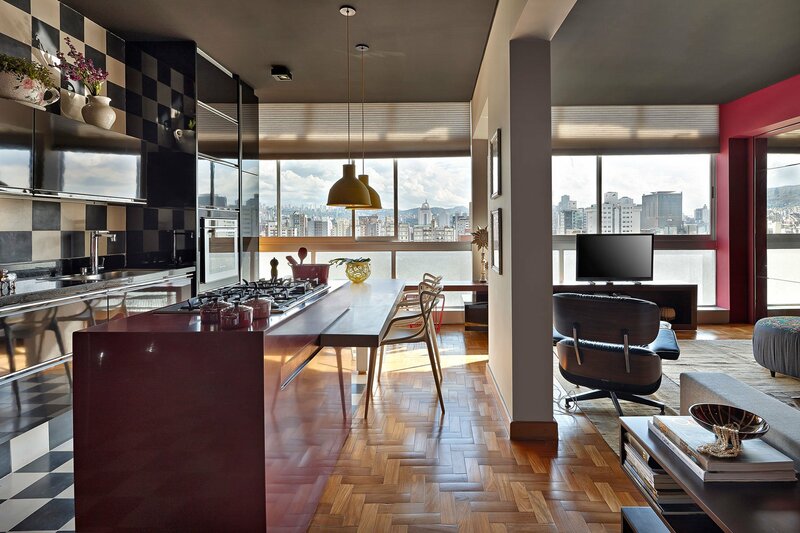 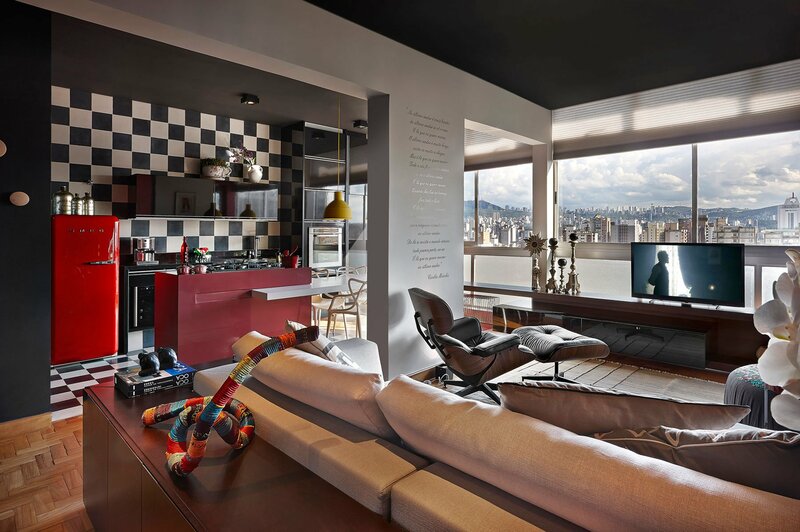 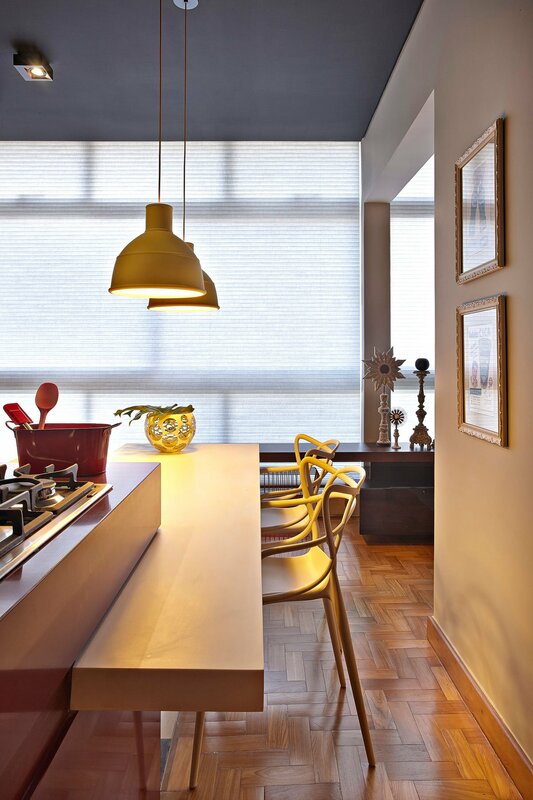 This apartment is located in a building designed by architect Oscar Niemeyer, in the central region of Belo Horizonte. 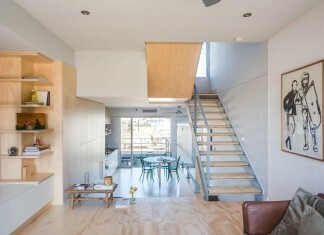 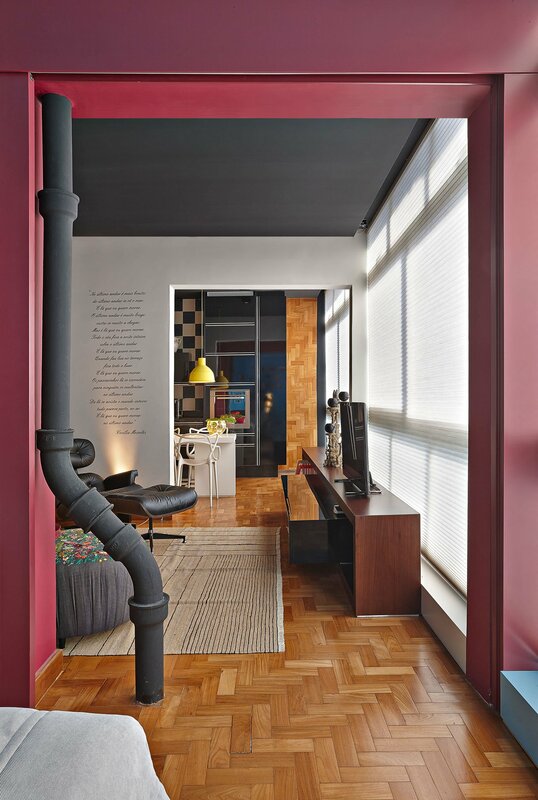 We conducted a reform environments by integrating all of the apartment, creating a loft. 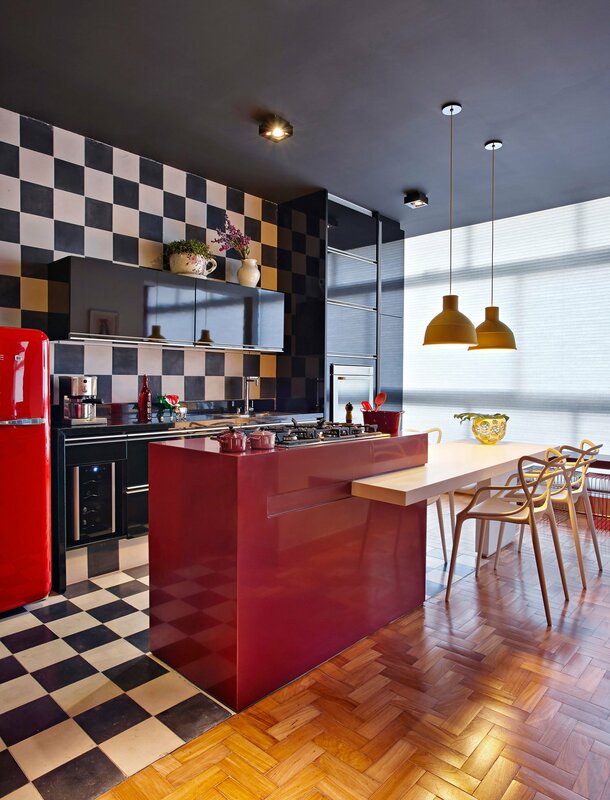 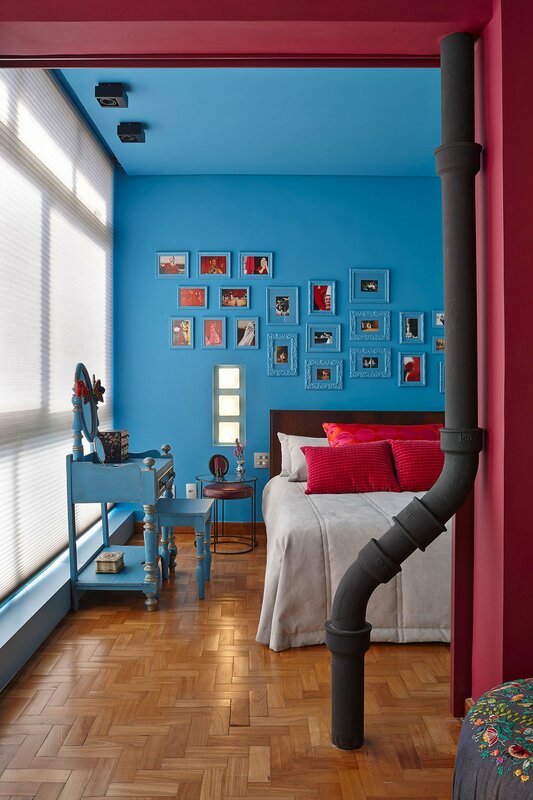 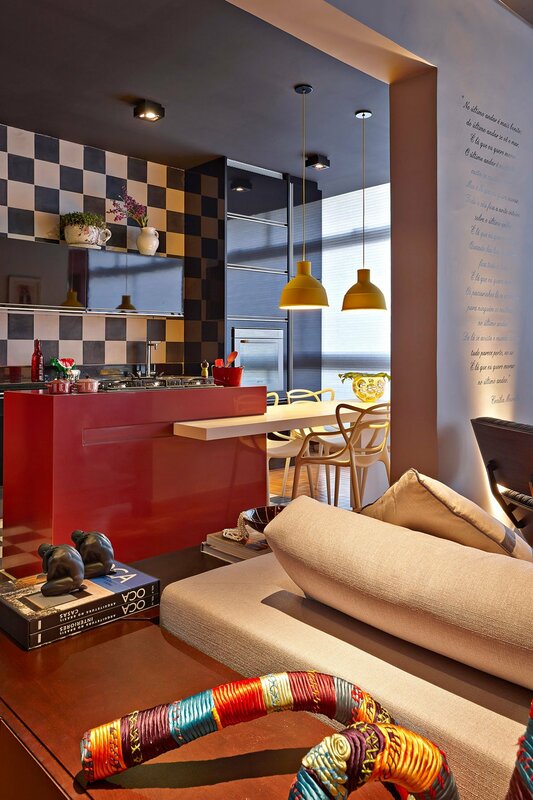 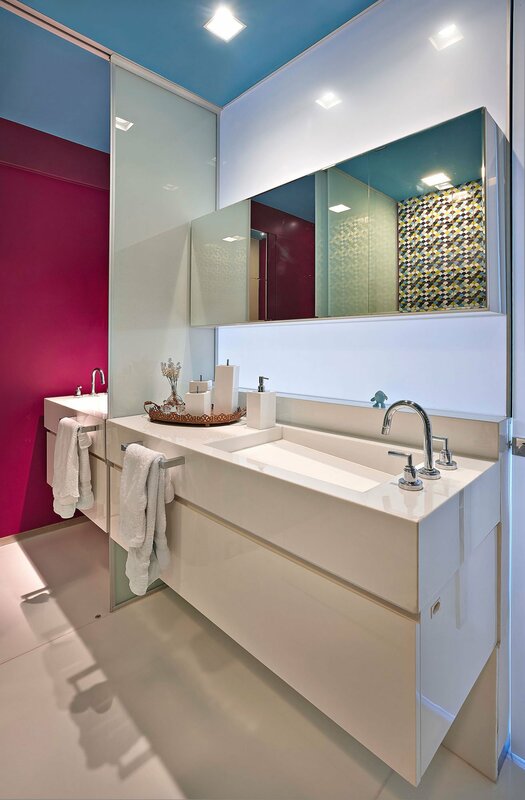 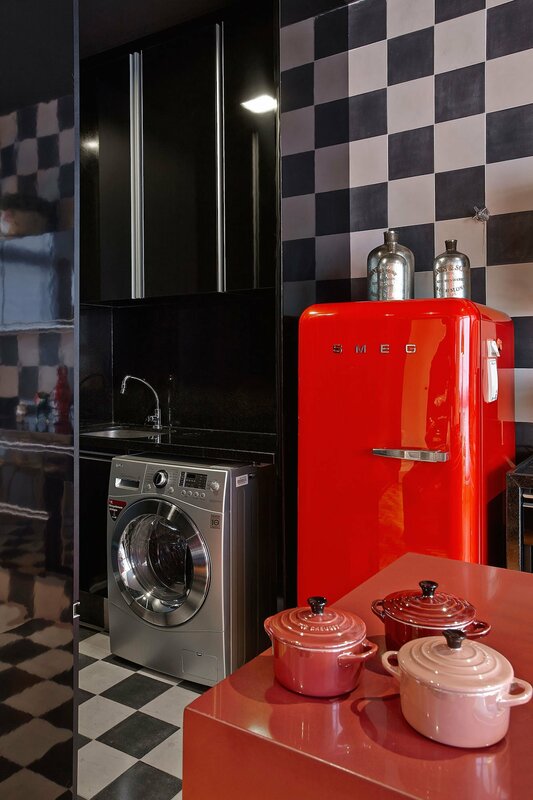 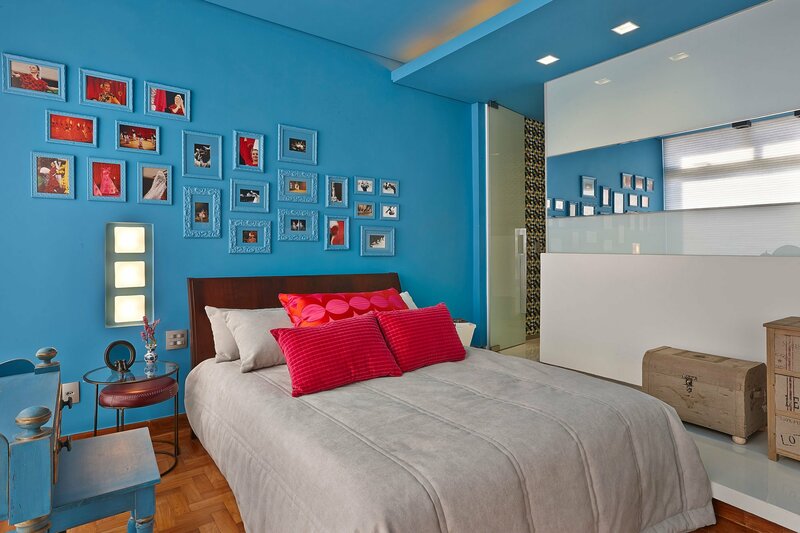 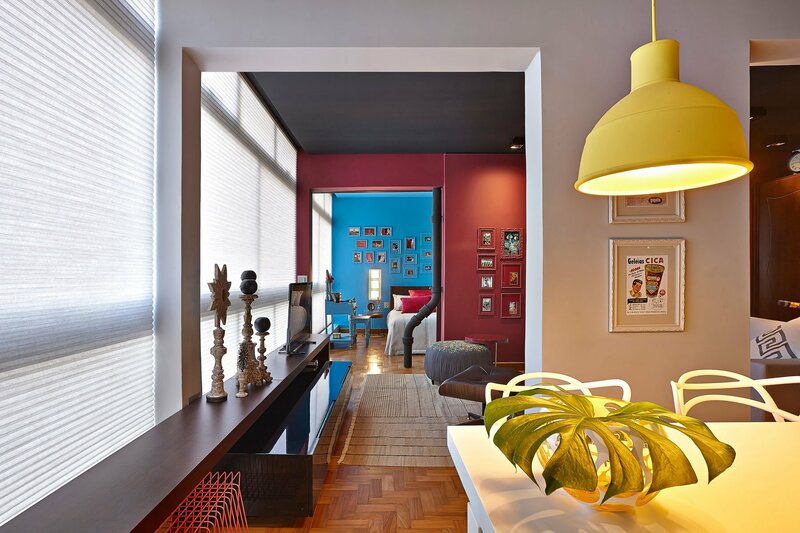 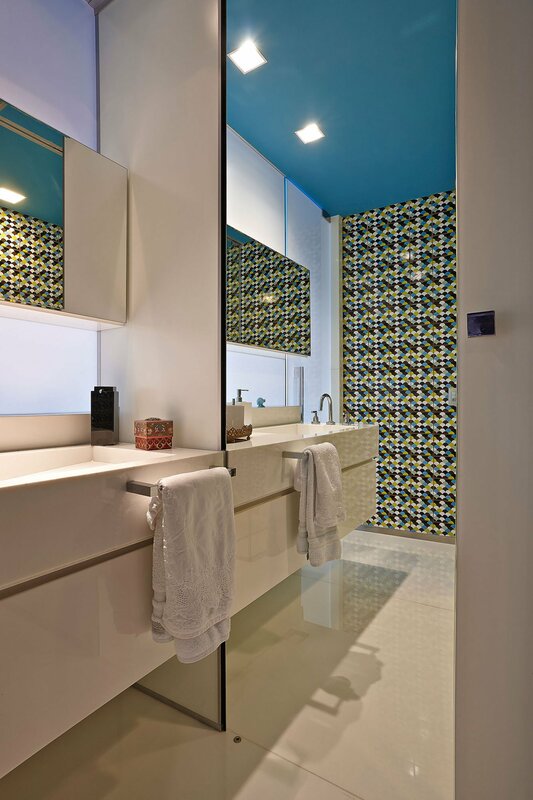 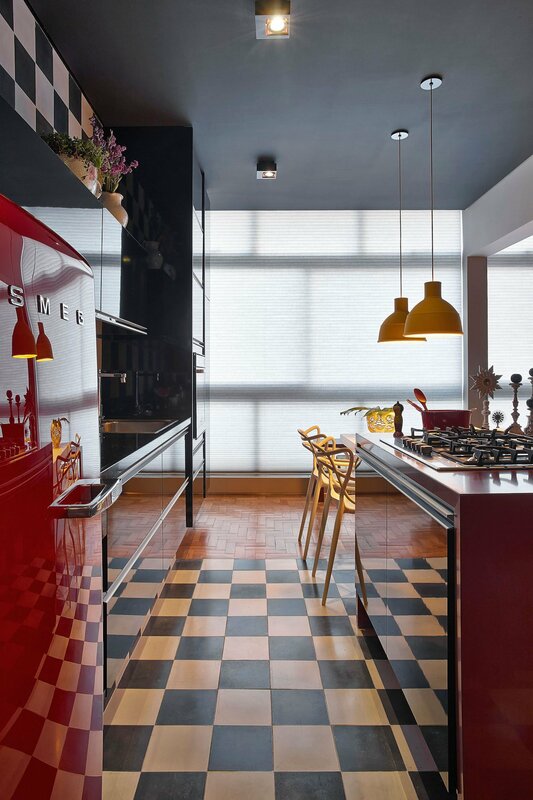 The use of strong colors brings more personality to each space. 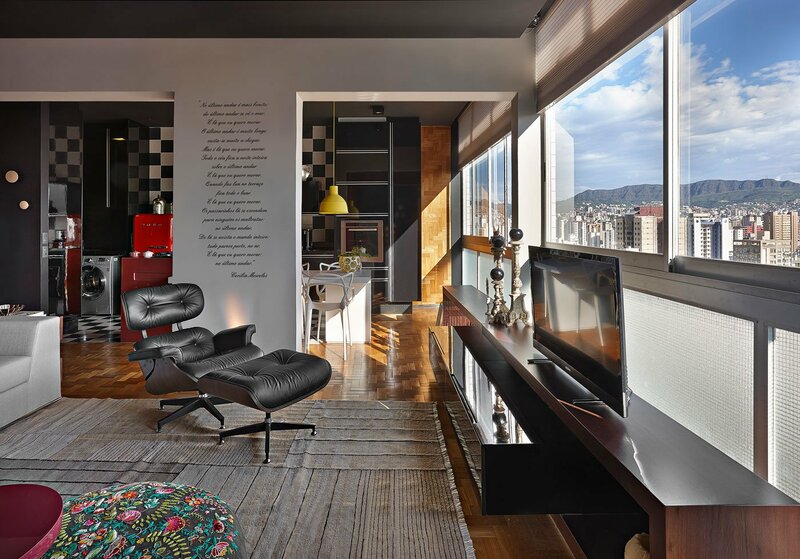 The choice of design pieces, like the lamp of Micasa and Charles Eames chair, and the use of straight lines and sober create a harmony with all the playful aspect of environments. 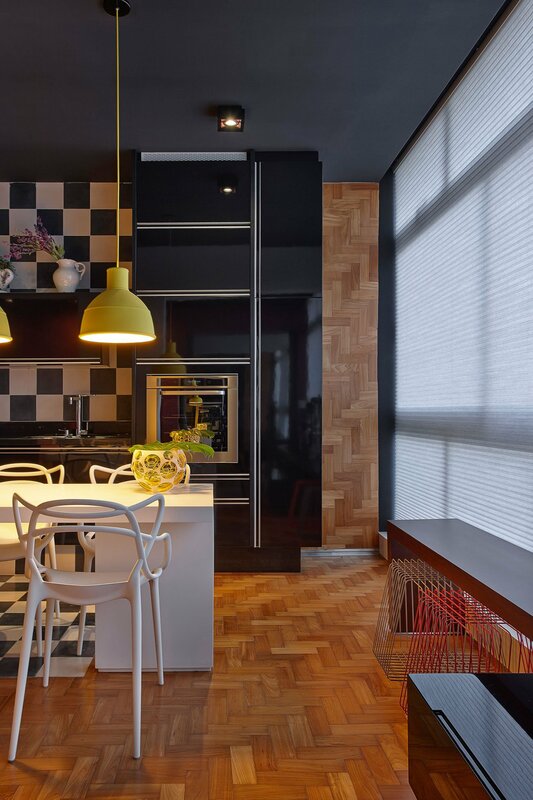 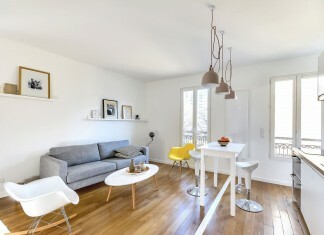 The parquet flooring mahogany wood in the original field of the apartment has been maintained and restored. 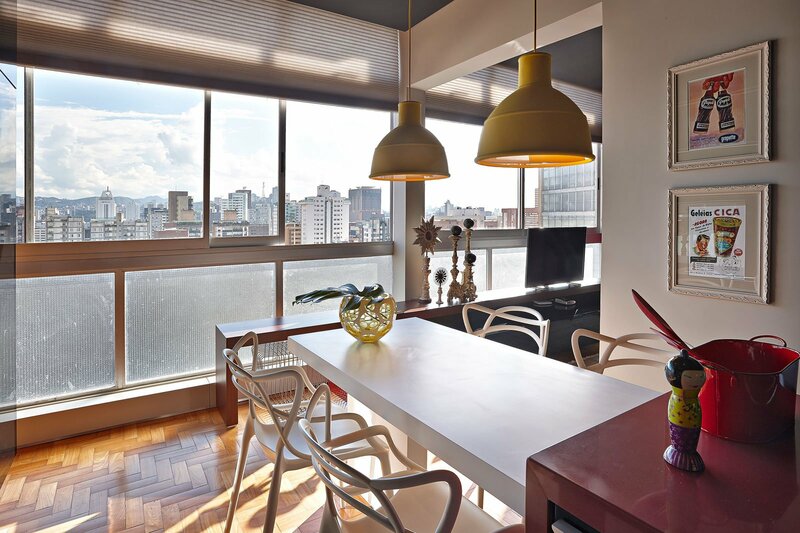 The large windows, unique architecture, accompany every room with a beautiful view of the city. 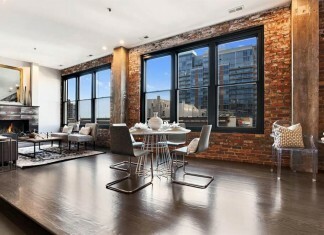 The decor looked back up all targeted for these windows without obstructing them and leaving the apartment and brighter. 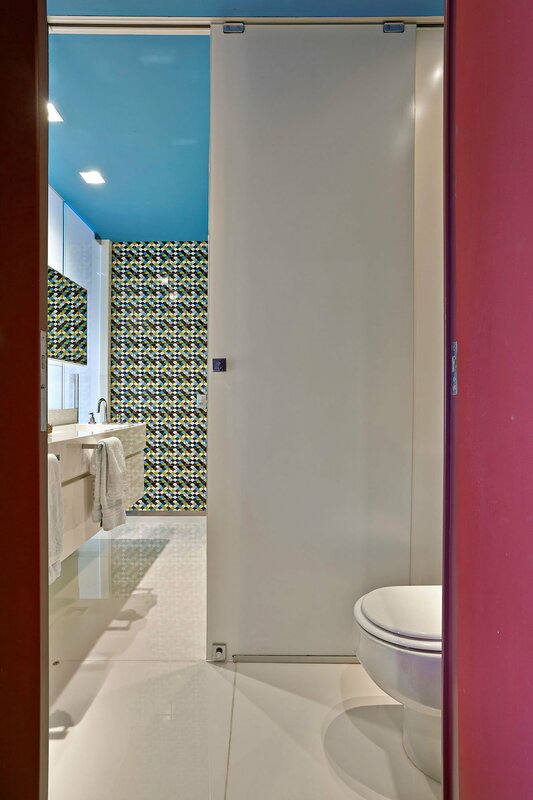 The most clean the toilet was broken using the ceramic Peacock walls.